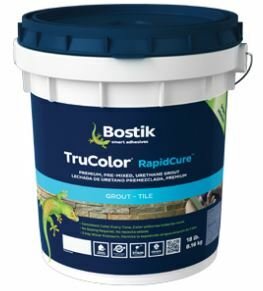 Bostik TruColor Premixed Classic Bone Grout is a patented, water-based, urethane grout offering the ultimate in color accuracy, stain protection and crack resistance for residential and commercial tile installations. This breakthrough formulation installs up to 50% faster than traditional grouts, and never needs to be sealed. Its perfect balance of flexibility and toughness enables it to exhibit unmatched performance and crack resistance. TruColor exceeds the grout-relevant portion of the ANSI A118.3 (modified ANSI A118.3 – UG). TruColor Classic Bone is also available in 18lb buckets. As our customer, you should come to expect only the highest level of service from Schillings. Our goal is to be the most dependable, efficient and professional supplier of quality building materials in the Chicagoland area as well as online. 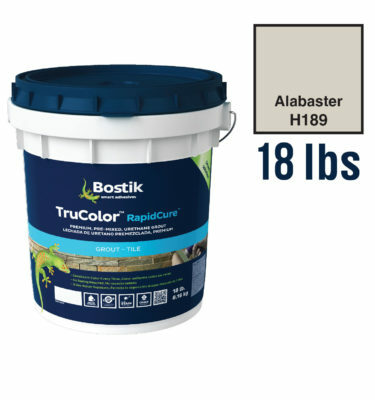 *NOTE—FOR COLOR SELECTION: The “Bostik Grout & Sealant Color Selector Card” (T2) is the standard for color correction, manufacturing and quality control. Colors may vary due to jobsite conditions, absorption of tile, mixing ratios, installation methods or from batch to batch, and therefore may differ significantly from the Grout & Sealant Color Selector Card. White and Natural do not contain color pigments and therefore do not have color standards.